Added 9 days ago by eztv (verified). 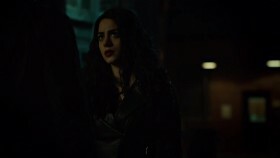 A demon outbreak in New York City on Halloween becomes a top priority at the Institute, but as the Shadowhunters hunt the demons, Jace becomes more worried about Clary. Meanwhile, Alec has to juggle the outbreak with his deep concern about Magnus' depression.